Bride may add a ribbon and personalised thank you tag to this single rose wedding scented soap favor to make it special. 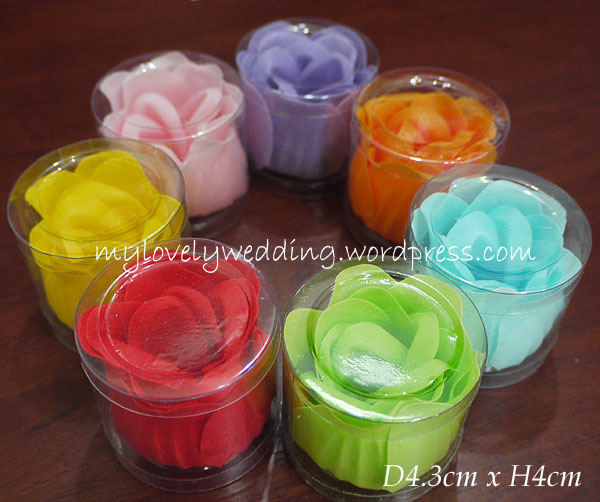 This rose petal soap is not only for display, but also act as an ordinary soap or cleanser for body, hand and even face. Stocks come in mixed colour.